Paul Taylor: You are going to be showing your Last Supper paintings in Milan this year. Paul Taylor: When did you make the paintings? Andy Warhol: I was working on them all year. They were supposed to be shown in December, then January. Now I don't know when. Paul Taylor: Are they painted? Andy Warhol: I don't know. Some were painted, but they're not going to show the painted ones. We'll use the silk-screened ones. Paul Taylor: On some of them you have camouflage over the top of the images. Why is that? Andy Warhol: I had some leftover camouflage. Paul Taylor: From the self portraits? Paul Taylor: Did you do any preparatory drawings for them? Andy Warhol: Yeah, I tried. I did about forty paintings. Paul Taylor: They were all preparatory? Paul Taylor: It's very odd to see images like this one doubled. Andy Warhol: They're just the small ones. Paul Taylor: The really big one is where there are images upside down and the right way up. Paul Taylor: It's odd because you normally see just one Jesus at a time. Andy Warhol: Now there are two. Paul Taylor: Like the two Popes? Andy Warhol: The European Pope and the American Pope. Paul Taylor: Did you see Dokoupil's show at Sonnabend Gallery? Andy Warhol: Oh no, I haven't gone there yet. I want to go on Saturday. Paul Taylor: It might be the last day. There you will see two Jesuses on crucifixes, one beside the other. Paul Taylor: And he explained to me something like how it was transgressive to have two Jesuses in the same picture. Andy Warhol: He took the words out of my mouth. Paul Taylor: You're trying to be transgressive? Paul Taylor: In America, you could be almost as famous as Charles Manson. Is there any similarity between you at the Factory and Jesus at the Last Supper? Andy Warhol: That's negative, to me it's negative. I don't want to talk about negative things. Paul Taylor: Well, what about these happier days at the present Factory? Now you're a corporation president. Andy Warhol: It's the same. Paul Taylor: Why did you do the Last Supper? 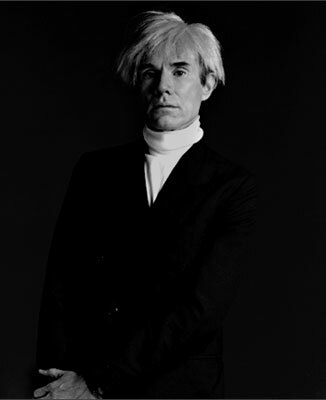 Andy Warhol: Because [Alexander] Iolas asked me to do the Last Supper. He got a gallery in front of the other Last Supper, and he asked three or four people to do Last Suppers. Paul Taylor: What do you think about those books and articles, like Stephen Koch's Stargazer, and a 1964 Newsweek piece called Saint Andrew, that bring up the subject of Catholicism?" Andy Warhol: I don't know. Stephen Koch's book was interesting because he was able to write a whole book about it. He has a new book out which I'm trying to to buy to turn into a screenplay. I think it's called The Bride's Bachelors or some Duchampy title. Have you read it yet? Paul Taylor: No, I read the review in The New York Times Book Review. Andy Warhol: What did it say? Paul Taylor: It was okay. Andy Warhol: Yeah? What's it about? Paul Taylor: Stephen Koch described it to me himself. He said it was about a heterosexual Rauschenberg figure in the sixties, a magnetic artist who has qualities of a lot of sixties artists. He has an entourage. I don't know the rest. Andy Warhol: I've been meaning to call him and see if he can tell me the story and send me the book. Paul Taylor: Who's making a screenplay? Andy Warhol: We thought that we might be able to do it. Paul Taylor: It's a great idea. Would you be able to get real people to play themselves in it? Andy Warhol: I don't know. It might be good. Paul Taylor: Do you have screenwriters here? Andy Warhol: We just bought Tama Janowitz's book called Slaves of New York. Paul Taylor: Does that mean you're going back into movie production? Andy Warhol: We're trying. But actually what we're working on is our video show which MTV is buying. Andy Warhol: No, it's called Andy Warhol's Fifteen Minutes. It was on Thursday last week and it's showing again Monday and it'll be shown two more times: December, and we're doing one for January. Paul Taylor: Do you make them? Andy Warhol: No, Vincent works on them. Vincent Fremont. Paul Taylor: Do you look through the camera on these things at all. Paul Taylor: What's your role? Andy Warhol: Just interviewing people. Paul Taylor: If there was a movie made out of Stephen Koch's novel, what would be your role in it? Andy Warhol: I don't know. I'd have to read it first. Paul Taylor: It's not usual for business people to talk about these deals before they make them. Andy Warhol: I don't care if anyone... there's always another book. Paul Taylor: I saw Ileana [Sonnabend] today and asked her what I should ask you, and she said, "I don't know. For Andy everything is equal". Paul Taylor: How do you describe that point of view? Paul Taylor: It sounds zennish. Andy Warhol: Zennish? What's that? Andy Warhol: Zennish. That's a good word. That's a good title for... my new book. Paul Taylor: What about your transformation from being a commercial artist to a real artist. Andy Warhol: I'm still a commercial artist. I was always a commercial artist. Paul Taylor: Then what's a commercial artist? Andy Warhol: I don't know - someone who sells art. Paul Taylor: So almost all artists are commerical artists, just to varying degrees. Andy Warhol: I think so. Paul Taylor: Is a better commercial artist one who sells more work? Andy Warhol: I don't know. When I started out, art was doing down the drain. The people who used to magazine illustrations and the covers were being replaced by photographers. And when they started using photographers, I started to show my work with galleries. Everybody also was doing window decoration. That led into more galleries. I had some paintings in a window, then in a gallery. Paul Taylor: Is there a parallel situation now? Andy Warhol: No, it just caught on so well that there's a new gallery open every day now.There are a lot more artists, which is real great. Paul Taylor: What has happened to the idea of good art? Andy Warhol: It's all good art. Paul Taylor: Is that to say that it's all equal? Paul Taylor: You're not interested in making distinctions. Andy Warhol: Well no, I just can't tell the difference. I don't see why one Jasper Johns sells for three million and one sells for, you know, like four hundred thousand. They were both good paintings.